A few minutes of your time will help the impact the future of our parks and recreation facilities. ONLINE reponses are preferred; however, hard copies are available at Omro City Hall at 205 S. Webster Avene. Please return completed copies to the City Clerk. Please complete the survey by November 11, 2018. To see and discuss the survey results please attend the "Plan to Play" Community Outreach meeting on Monday, November 26, 2018 at 6:30 pm at the Omro Area Community Center, 130 W. Larrabee Street. Children are welcomed and encouraged. Looking to rent a pavilion or shelter in one of our parks? Click on the Park Request Form PDF for prices and a detailed description of each facility available for rent. Questions regarding the rental and availability of any of these facilities can be directed to Omro City Hall at (920)685-7000. This crown jewel, the focal point of Omro, includes picnic facilities, playground equipment, ice-skating rink, public restrooms, as well as fishing and docking points along the Fox River. A gazebo housing tourist information on local points of interest is positioned in South Scott Park. 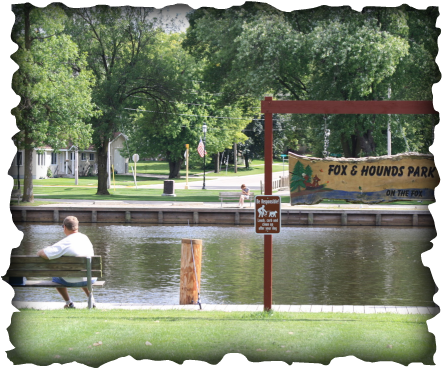 Located along the Fox River, has a gazebo, boat launch, playground equipment and fishing and boating areas. Offering another view of Omro's river setting on the north side. Boat launches, public facility, and playground equipment to meet your recreational needs. 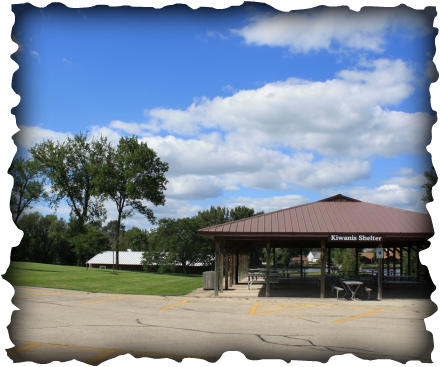 The home of the Omro Family Aquatic Center, also includes boat launch, playground equipment, picnic facilities, large shelter, public restrooms and plenty of room to run await you at this East Side Omro Park. Located just off Hwy 21 on the banks of the Fox River.